Two more disaster machines, which were also featured in this New Scientist pay-per-view article along with the shake table and the portable hurricane. 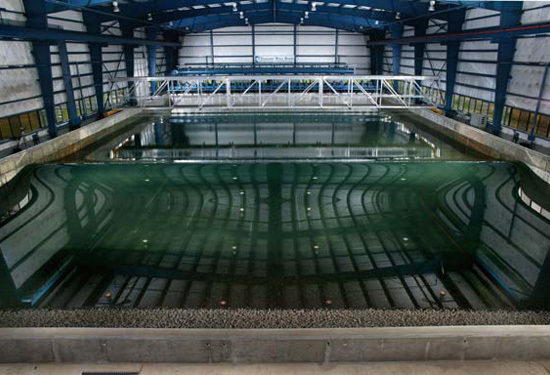 Next is the Tsunami Wave Basin, housed in a “hangar-size building” at Oregon State University in Corvallis. A major question is exactly what impact tsunamis can have on coastal structures and sediment. So in July, researchers built miniature model of a coastal town along a sloping “beach” at the edge of the basin. They are now setting up experiments to measure the resulting forces as the water hits the shore, and to test whether buildings of certain shapes, such as cylinders, might be better than others for withstanding a tsunami. 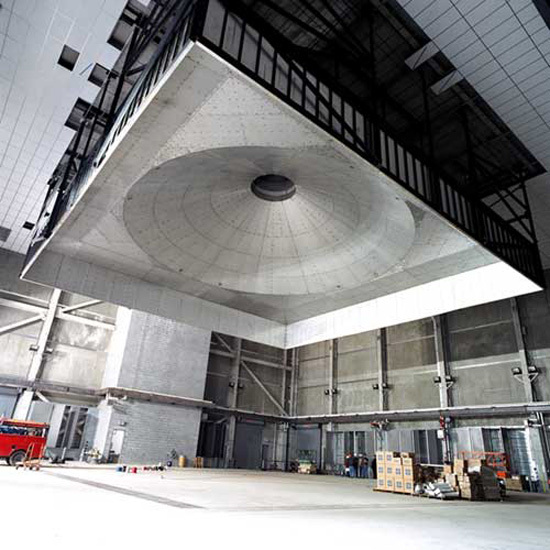 One wonders if Architecture for Humanity has signed up for some wave time to better improve their anti-tsunami projects. Meanwhile, since we obviously can't help ourselves, we'd like to see these disaster machines strapped onto The Jardinator©. You then let it loose. 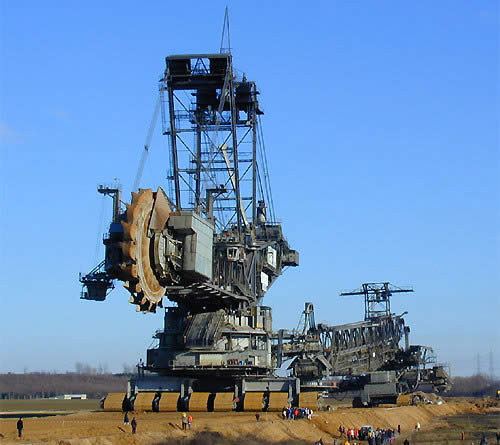 And fortunately for all Japanese cities, it will not topple down skyscrapers and stomp on Hello Kitty; this monstrous stillborn love child of Godzilla and ThyssenKrup will actually help your home and cities avert major disasters. It will improve the quality of your life. If you see it surfacing offshore and rumbling onto the beach, soon aftewards you will fear no more hurricanes and tsunamis. Children will come running down the streets to greet it as if it were the ice cream truck, because they know that they will no longer be in danger of getting burnt alive in the middle of the night. Everyone will deem it of monumental importance that virgins will be sacrificed along its path. But then it becomes self-aware. Uh oh. I wish I still had the Ppoint a freind shared with me of that Thyssen-Krupp garden appliance. In a few slides there was a D-9 Caterpillar sized bulldozer that had been caught in one of it's massive buckets and mistakenly scooped up! If I can find a copy, I'll post a link. Here are some of the images of this event.